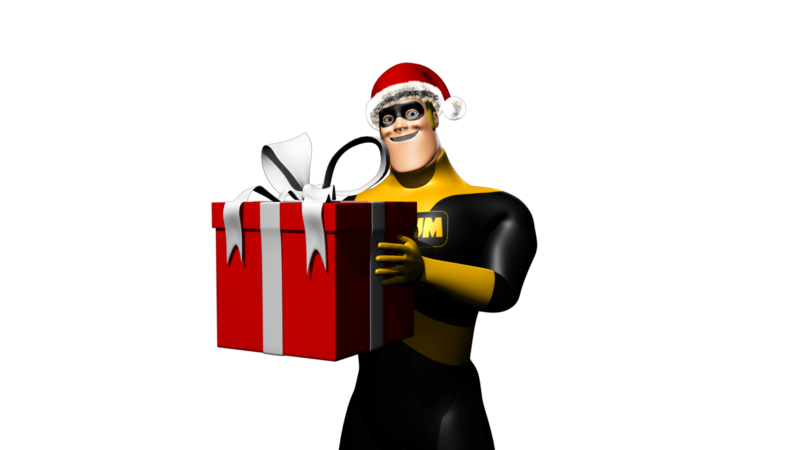 With the long, dark evenings creeping in and a higher chance of homeowners being out visiting family and friends; Christmas time is the perfect opportunity for thieves to strike. 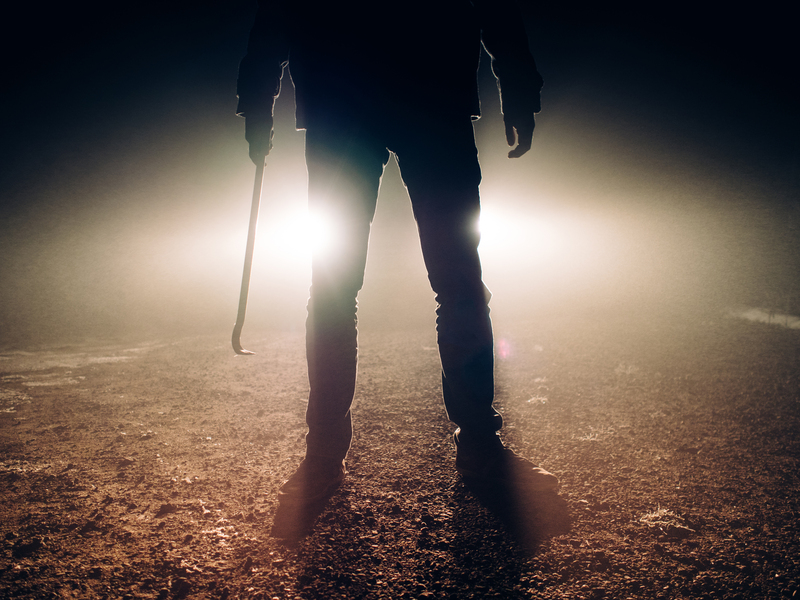 In most cases, your door is the first place a burglar will check when breaking into your home. This is why we are urging all homeowners to check their door security this festive season. With Christmas around the corner, and expensive gifts and gadgets wrapped under the tree, it’s vital to check that your door can withstand common lock breaking techniques. Here is what to look out for when checking your door security. Breaking a lock is the most common way a burglar will attempt to gain access to a home. It takes just seconds for a thief to snap a standard cylinder, which is why it’s vital the quality of your lock is not ignored. 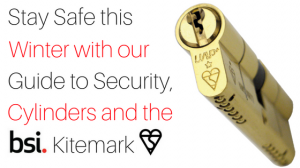 Cylinders without the official BSi Kitemark often have little to no added security features to protect homes against common lock breaking techniques. Even with a high quality multipoint locking system, euro cylinders should be upgraded to ones that display a Kitemarked symbol. This way you can be sure that your cylinder has been designed and tested to product your door from a number of lock breaking techniques. The MAX6MUM SECURITY Euro Cylinder is packed full of security features, including – anti-drill pins, anti-pick pins, a system to prevent entry by lock bumping and sacrificial cut lines on both sides of the cylinder – which protect the locking mechanism in the event of a snapping attack. As well as upgrading your cylinder to a high security one, it’s vital you choose the correct sized cylinder. If a cylinder is not the right size and is overhanging by 2mm or more, it can be easily snapped – a common tactic burglars use to gain entry. When force is applied, the lock will simply snap, making it very easy for a burglar to then manipulate the cylinder in to opening and gain access to your property. A lock should be replaced with one that is the correct size and not overhanging, so it sits flush to the door handle. We recommend using the MAX6 cylinder gauge to measure your door for the correct sized cylinder. It’s important that your cylinder is fitted correctly. If you are unsure, contact a locksmith to fit your lock. Door handles are as much as a target as the cylinder. Installing a high security handle designed to protect the cylinder helps deter criminals using pliers to grab the cylinder. The MAX6 high security front door handle has been developed not only to look attractive on your door, but is designed to prevent attack methods used by burglars. Each front door handle features an innovative integrated cylinder guard which ensures that the most common break-in method, lock snapping, is prevented. A burglar wouldn’t go to the bother of breaking into your home when they can simply be invited in. 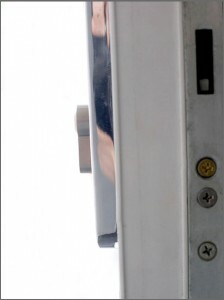 By installing a door viewer, you can see exactly who is on the other side of the door to avoid leaving yourself and property vulnerable to attack. Check out the Max6 door viewer here. 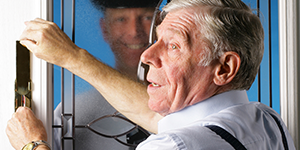 Be aware of bogus callers this festive season! Whether it is bogus tradesmen or officials, door step crime criminals come in all disguises. Never answer the door unless you can verify who is calling – all tradespeople by law have to carry a form of identification. By having an identity card entry slot, you can ask the caller to pass their ID through to check who they are before opening up your home to them. The protection of a door chain not only means you can find out who the caller is before opening your door up fully, but it makes it much more difficult for the caller to barge past you as soon as the door is open. 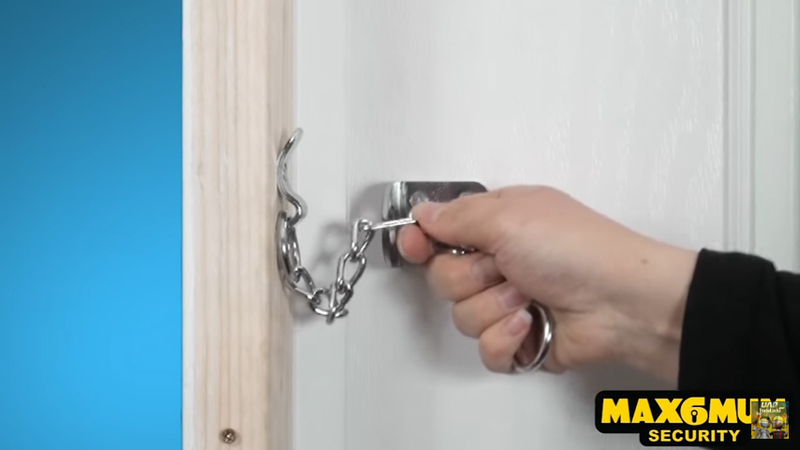 The MAX6 door chain has been designed to defend against forced entry. Upgrading your door security doesn’t have to cost a small fortune. Here at MAX6MUM SECURITY you’ll find high quality, secure and affordable products – View our full range here.